My altar this year is a little different from previous years. This was located in the spiritual room during our Samhain ritual, hence the foggy atmosphere. Each candle on the altar honors someone who has passed away - a friend, a family member, a loved one or even someone unnamed and forgotten. You'll notice that there is one unlit candle. One of the members called upon someone who is currently missing, but we didn't want to light the candle because we didn't want to believe that he might have passed away. It was a very emotional moment for the circle. More pictures to come! I have a ton to sort through from last night's ritual. And Liithi Lushede's public Samhain ritual is tonight, so there's sure to be even more content soon! 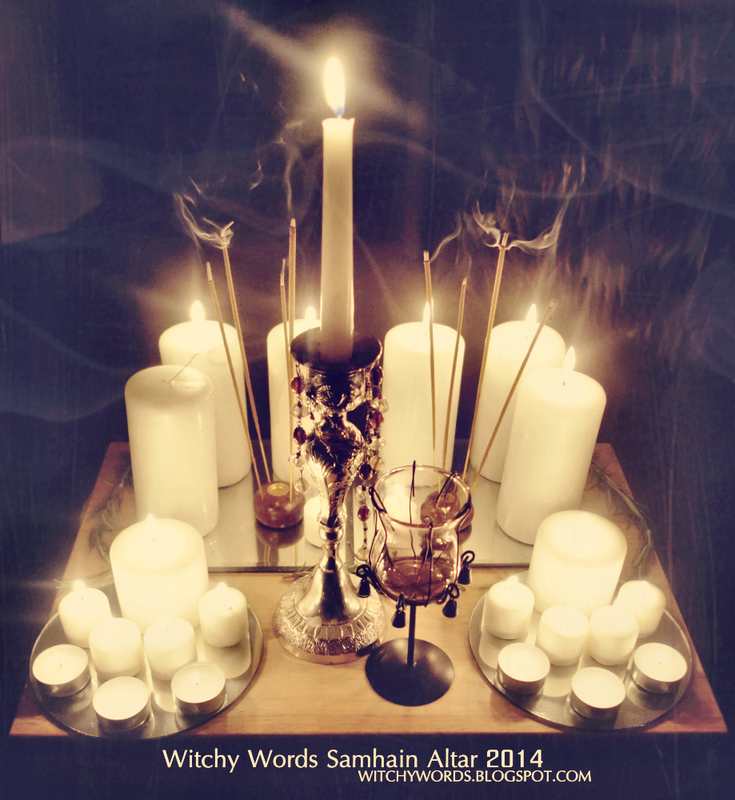 For last year's Samhain altar, click here! For last year's Samhain celebration, click here!